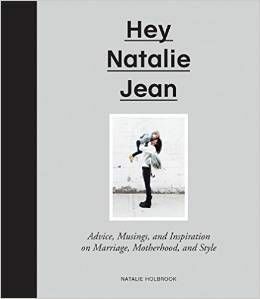 HEY NATALIE JEAN: Drum Roll Please . . .
You should see Brandon's swagger. If so, CONGRATULATIONS!!!! I hearby offer my soon-to-be-born daughter's hand in marriage--she'll need a guy as cool as any Lovin-Holbrook is sure to be! That onesie looks pink to me!! It is a white onesie, Mrs. Biscuit! With blue writing though...yes? Snips and snails? Hooray for you! Boys are so fun!! A boy!!! Congratulations. Awesome. Great news and I just love the onesie...its so appropriate. 'Swagger' gave it away! Every proud papa-to-be has that certain swagger when a son, an heir, a name-carrier-on has been produced by the fruit of their loins! Oh and many many Holbscongrats to you both! How wonderful!!! Congrats!! A BOY!! You are going to have soo much fun!! I can't wait to see his cute little face! *pats self on back* I had a hunch it would be a little guy! Congrats! Boys are so much fun!! I have a 13 month old boy and he's the greatest!My husband was quite proud as well! You are going to have more love and fun than you can even imagine!! Congrats!! Welcome to the Boy club! Congrats! Boys are a deliciuous handful! ahhhhh!! congratulations, what a thrill! A mini Holbs, how fantastic! Congrats to you both! There's nothing like a boy and his mama! Congrats! You're going to LOVE him! Just watch out when you're changing him. I knew it I just knew it. Hooray for boys! I don't have one or anything but I like the one I married and he has five brothers and I like them too. And my Dad. I am very fond of boys! You are going to rock the momness! Congrats from California! Congrats! I have 3 of them and they are the most crazy, energetic, fun, boys ever. AND they broke the basement window out this weekend by throwing rocks at it. there's going to be a great supply of missionaries come 2029! Hooray for Young Holbs! :-) HEEEEEEEEEEEEEE! I Have Still Never Had A Helmer Burger!